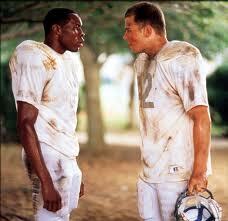 Do you remember this scene from the epic movie “Remember the Titans” ? Have you come across this in your projects? You start noticing a certain attitude in your project teams. If and when you dig deeper, you realize that is the attitude the project leadership have been conveying indirectly to the people. This could be as simplistic as not turning up for meetings on time to serious issues like overlooking risks that could jeopardize the project. As a leader, the project manager is in a very important position. He is the face of the project. How he/she thinks and acts plays an important influencing factor for the team attitude. A project manager who has a winning attitude and believes sincerely the project will be a resounding success sends down a strong message to the team in his actions that motivate the team to face up any adversity. During the D-day landings of world war 2 on Utah beach, Theodore Roosevelt, Jr. soon realized they had landed on the wrong beach. With wave after wave of ships and men pouring amidst German gunfire, he had to make a quick decision. There were two options: either move up the beach to the correct landing area; or to attack inland from their current location. He chose the second option and is famously quoted as allegedly saying, “Well, then we’ll start the war from right here.” And he not just said it but stood there for hours with a cane in his hand directing and ensuring that the change in plan was communicated to all and made effective . He conveyed through his words and actions that he believed that the best course of action now was the way he suggested and rest is history. Project managers as leaders need to live the values they believe in and they will see that reflected in the attitudes of their teams. It is akin to the what you sow you get. You sow trust and confidence and you will get that back in return. You show seriousness in planning and quality and the team will respond accordingly. Many times projects are failing not just because of the challenges – which are real, but also because the project leadership themselves do not exhibit confidence and maturity in tackling them. There are ad-hoc and half-hearted responses. It does not take long for the ripple effect to spread across the team. Project leaders need to be aware about the message that is being communicated in the meetings, emails, management interactions with the team and keep a pulse of the drivers affecting team attitude. If one of the leaders is sending out a wrong message, appropriate actions must be taken to correct it. Ensuring that you and the team have the right attitude keeps the team together and a team which works together, delivers wonders !! !